⌂ Topics General Community talk Which of you know WEB DEVELOPMENT? Which of you know WEB DEVELOPMENT? This topic contains 18 replies, has 5 voices, and was last updated by Dixtre06 5 months ago. I just want to know which of you know web development. Who of you know web development and which technologies do you know? In reply to: Which of you know WEB DEVELOPMENT? Hi Anne and sorry for the time I took to reply. I just wanted to know if there were enough people here to propose some changes to Dave, but he hasn’t replied to my private messages. in the meantime, i was thinking to reproduce a similar wordpress setup, just being able to make concrete suggestion about the forum (bb press), which is from bottom up a nogo, and it got from my pov entirely out of control. i don’t know what the pp team is doing, if they are doing anything :-), but it seems it’s getting even more fancy but not functional, at least from what i saw in the screenshots about v4. i can’t see single slice of user extendable content, i guess it’s getting the same pain as seen in v3 : tons of user updates not being emerged for years…at the cost of the users. not good ! I think this community is really great, but the initiative has been implemented with low quality. At the moment I am programming a possible solution, but it will take time because I am not a professional coder and the initiative is quite complex. If you need help and your intentions are good I can provide free labor. What exactly are you looking to do? @nzchicken has recently (started to) implement docker for the website that should make it easier to run locally. more info on the readme here. So feel free to start. But its also high on our to-do list to completely rebuild this community from scratch in V4 (starting september). So you can also share feedback and we will use it when we redesign. Or even better join us in NL to actually develop it! Thanks for the offering. At the moment I am designing the concept of a similar website but more complex and advanced. The concept is not finished, but as soon as I would have some information to show, I will let you know. Could do draw something about what you explained about? About the post posted at 19:05. 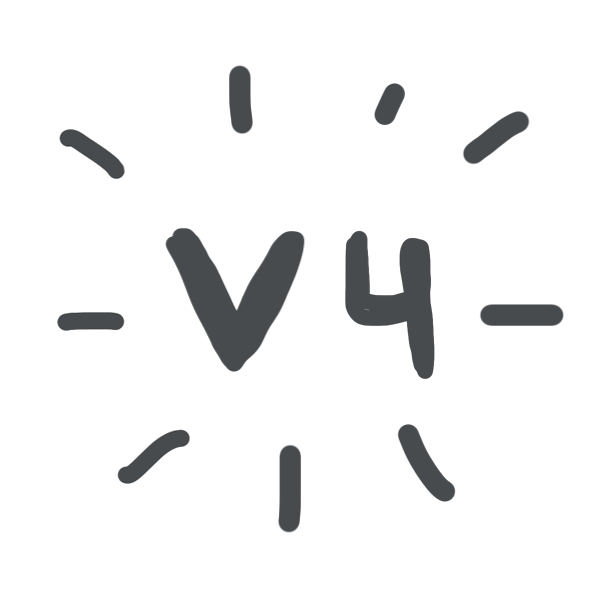 Do you have any document where I can see the new changes that version 4 will have? think of a visual product customizer, for cars for instance. it’s not that hard to do, the required libraries are all out there for doing this. that way Dave’s goal of ‘simplicity’ is archived but also reduces the risk that people run into disappointments as we’ve seen often enough here. from what i see now in the forum there of the last 24 months, there is heavy drop out rate of users and after doing the PP thing for the last 6 months, i can confirm: it’s rather for people knowing what they are doing, most others seem to get overwhelmed by the efforts, time, resources and money needed to do PP properly and sustainable. so making people aware from the beginning can reduce waste and lost of investment, for many ! Don’t worry about the time it takes to reply to messages. I think we are all a little bit busy. About the strategy you mention to develop a system to increase customer’s satisfaction I think it should be a “must”. But we know that, at least in this version, the website has huge inefficiencies. At the moment I am developing some software to manage big and complex website projects. I have been searching for similar software, but it seems it doesn’t exist, so let’s invent it. I think this could be a great community and I have discovered a similar (not the same, but similar characteristics) website to help groups build businesses, etc. The problem? The same: not high efficiency in the website. In a very famous English language online forum some people tried also to execute some big projects, with no success. This is not the unique big project I have tried to execute. I have failed many many times even with great people that had excellent skills in some areas. same here, i can’t do much about PP software anymore in the next 2 years, i took a good paid job to pick up some money for better and bigger machines during that time. for the meantime i gave my PP nice growing ‘business’ to some new students to go on with machine building, at least. i am playing however with the idea to re-build the entire PP main page, forum, bazar in the way i think it’s best: a fork of PP, more aimed at quality and professional users, less static & fancy but more functional. possible i pick it up in the next months again, and/or pay somebody to do it. the network of PP and p2p community inspired users here in Catalonia is growing pretty good. most of them however have the same problem: what products to build, understanding the requirements of new machinery, funding and networking. i think this can be fixed with the right data structure and flow at the end, with not too much hassle at the end. dude, ping me via pm and lets meet some time ! I take note of your suggestions. At the moment I have some time to try to start developing the concept. The problem is the concept I have designed (in theory, in a paper sheet) is really sophisticated and complex and it’s absurd trying to execute with ordinary software tools due to its complexity. The “problem” is my job has nothing in common with informatics, so I am not a professional developer, but I have always liked computers and I know a little bit about computer programming. I know in Catalonia there are great people that are very open-minded and they like to try new systems and ideas. I contact sometimes with some people living there to see their advancements in their projects, but I know there are much more initiatives out there. Of course Anne! A lot of years without visiting Catalonia (I usually travel very little), but be sure that if I go there I will let you know. Meanwhile, I will keep you updated, but I warn you that the project is going to be executed veeery slowly. I have just sent you a PM. I think it has arrived, but check because the website has shown an error alert while trying to send you a PM. It’s very interesting the system you explained! I thought about something similar. The concept I thought is about creating also a network where connects everyone to everything. The idea was to mimic the most famous websites, like meetup (for events) and build a platform-based website where opportunities, people, and resources are connected. It would be based on an “access economy” meaning that, apart from money, each person has reputation-level that opens the access to different benefits, depending on the reputational level. The concept is much more complex but basically was to help people to build anything (relationships, villages, objects, etc…). I think a great idea about this could be building thematic villages. For example, people that like living like in the 80’s, so they have their lifestyle oriented village. People that like some music style, so they live together, like in tribes etc. My friend is very good at website design. She framed a beautiful Child Care Website Design for my business website. I run a play school and therefore, it was important for me to make some new changes and attract more and more target audience.